I am trying out new things in nail art. This time, it’s the turn of Velvet Nail Dust. I just tried using it and created a simple nail art. 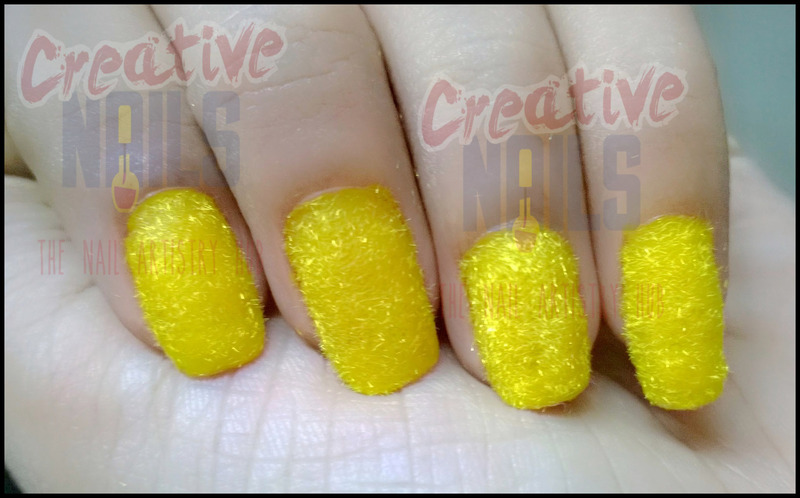 I thought of sharing it with you all so that you too can decorate your nails with velvet dust. Step 1: Apply two coats of base color. Step 2: Before it gets dried sprinkle the velvet dust on your nail. Step 3: Slightly tap on the velvety dust so that it adheres to the surface of the nail. Step 4: Remove the excess velvet dust using a fan brush. Don’t worry if you don’t have a fan brush. Just hold your fingers upside down and tap on them. The excess dust will fall off. Wipe clean the edges of the nails with cotton. ← Modi and Obama meet on Nails!